Welcome, This letter is to introduce my business to you. My expertise in the ﬁeld of slip areas, retaining walls, revetment walls, suspended decks, house underpinning and general river work has been gained from practical experience over 50 years. From this knowledge we can design and construct walls to suit the needs of individual projects. This experience ranges from a varied selection of residential wall construction to major projects for the Gold Coast City Council, Insurance Companies and Major Construction Companies. The diversity of this work includes rock armoring of revetment walls ably assisted by our Barge “CHARLOTTE”, this allows easy access to river and canal front properties, reducing damage to landscaped areas. Gold Coast and Brisbane Retaining Walls have completed over 1000 projects fulfilling the requirements of clients and includes our genuine guarantee of all work performed. Due to our professionalism, we are recommended by Major Companies in our chosen ﬁeld. For further information contact me on O7 5594 6542 or mobile 041 2758059. Note: Alan Davis was a consultant to the Wollongong ﬂoods (NSW 1998) in an advisory capacity. 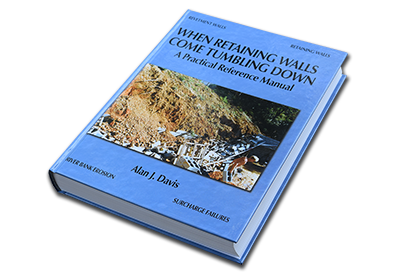 Alan is well known in the building industry and is only too willing to pass on his extensive knowledge, from a practical point of view, on the construction of retaining walls. 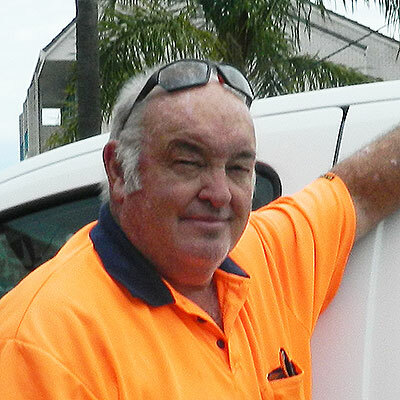 Allan has succesfully completed many projects in Brisbane and the Gold Coast. Some of these projects were in difficult terrain and confined areas. The success of his business can be attributed to his practical knowledge of retaining wall construction and his excellent customer service. Eric Johnson – Product Manager Civil & Bridge.